When celebrating a milestone occasion, it’s difficult to avoid looking back and reminiscing about past achievements and progress. Yet, despite the occasion, there was a palpable and prescient sense of things to come for the Bristol & Bath city region at the Initiative meeting last Thursday. 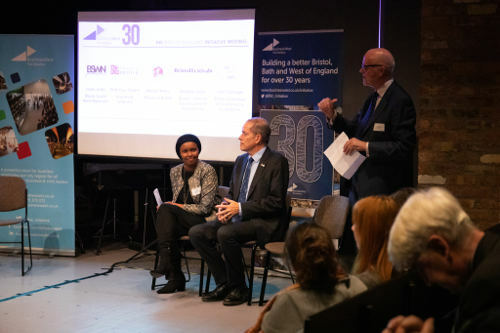 Alongside showing a short piece of film and heart-warming tributes and anecdotes that recounted the success of the last thirty years, there was in equal measure, animated and meaningful exchange about the future. It’s what the Initiative does best. 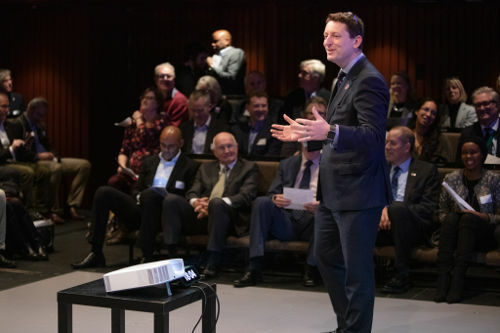 In the stunning new Weston Studio Theatre at The Bristol Old Vic Theatre packed with members, President of Bristol Chamber of Commerce & Initiative Richard Bonner kicked off proceedings by focussing on the present. “2018 has been a busy year for the Initiative”, said Richard, before listing some of its main achievements with its city region partners over the last 12 months. The successful Channel 4 bid, the Global Parliament of Mayors Summit in Bristol and WECA’s delegation to MIPIM were all cited as examples of how “strong alignment, collective ambition and a determination to shape the future amongst city region partners.” is bearing fruit. 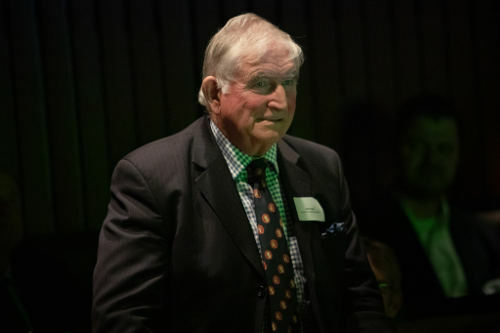 Past President Bob Durie duly attested to this, confessing to the audience that he still refers to the period prior to the Initiative’s inception as the city’s ‘dark days’. Stuck in a post-war stupor, Bristol was seen as a place where good ideas came to die he said. Best likened to a Victorian machine: full of cogs that require a lot of maintenance but get you nowhere. The grim picture painted of Bristol in the 1970s and 1980s is almost unrecognisable to anyone who has lived, worked or visited during the past twenty to thirty or so years, and this is due, in no small part to the work of the Initiative said panellist Andrew Kelly – Director of the Bristol Cultural Development Partnership & Festival of Ideas. 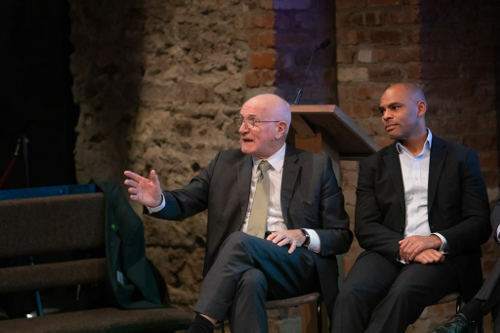 Under the watch of former Chief Executive and fellow panellist on the night, Dr John Savage CBE, Andrew recounted how the Initiative were instrumental and understood very early the need to promote cultural development and help cultivate a unique sense of place in the city region. 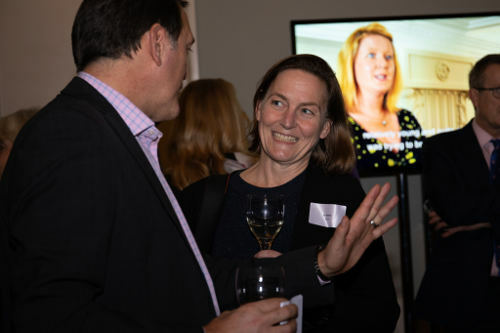 Encounters Film Festival, We The Curious, Bristol Festival of Ideas and the Harbourside & Cabot Circus regeneration projects are just a small handful of the crowning achievements identified by Andrew that the Initiative had taken the lead on over the years. 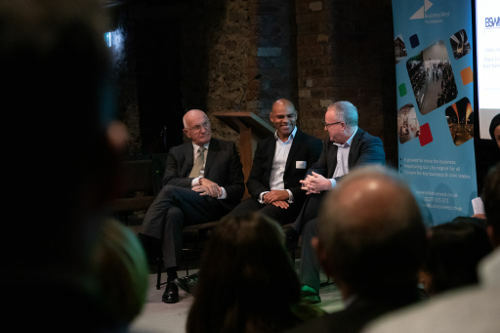 Reflecting on this journey, Former Chief Executive and nowadays Chairman John Savage spoke at length about how the Initiative’s 12 founder members recognised the link between culture, education and a vibrant local economy in describing the emphasis placed on tourism in the early years. 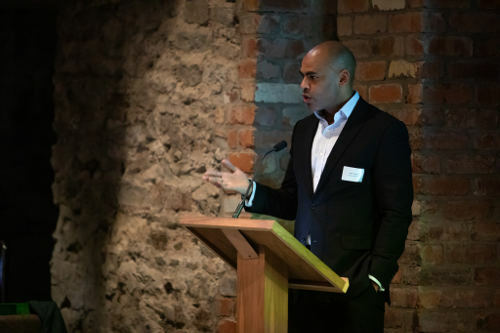 Also on the panel, Mayor of Bristol Marvin Rees, gave compelling insight into how Bristol’s past shaped the One City vision for the city, before congratulating the Initiative for turning around the city’s fortunes and describing John Savage as the “Mayor that Bristol never had”, which was met with loud applause from the assembled guests. Later on, John returned the compliment and commended Mayor Rees for the strong city leadership he had demonstrated since being elected in 2016. 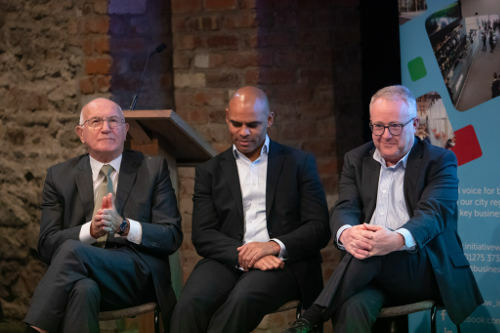 In addition to representatives from business, politics and arts & culture, also on the panel were Guy Orpen Deputy Pro-Vice Chancellor of the University of Bristol, who spoke about the Initiative’s role in the planned new Enterprise Campus, and Sado Jirde, Director of the Black South West Network and a key champion of equality and diversity in the city. And a number of members spoke passionately from the floor about how they had worked with the Initiative including Sue Turner, Theresa McDermott, Colin Skellett and 30 year old Johnny Smith. 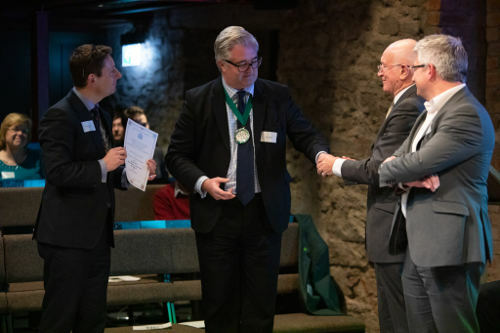 Following the presentation of a special award by the Bristol Guild of Guardians recognising the Bristol Chamber & Initiative’s achievements over three decades, the meeting then adjourned to the impressive newly re-created Cooper’s Hall for festive drinks and networking. Bristol’s International Jazz and Blues Festival kindly provided the Hopkins Hammond Trio who generously gave us musical accompaniment to the evening as members and invited guests reflected on the Initiative’s impact and discussed its future direction of travel. 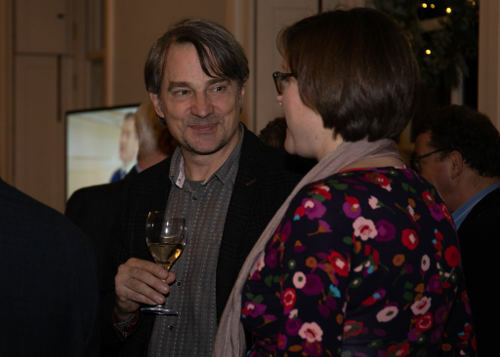 Whilst enjoying a light supper, guests also had the chance to look at 30 years’ worth of materials – from books and white papers to press cuttings and pin badges – charting the Initiative’s impressive track record and legacy from 1988 right up to the present day. 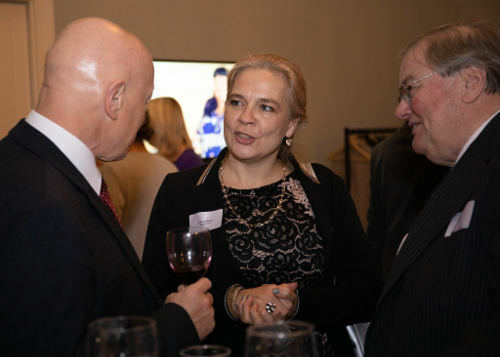 The event provided plenty of moments to reflect and reminisce, but what makes the Initiative a unique and special force in this city region is that it enables it to keep looking further forward. Despite a thirty-year track record of success, the overwhelming sense as the evening came to the close was that 30 years in, and some 30 years out from 2050 we’re only just getting started. Wishing a very happy Christmas to you all and I look forward to working with you in 2019. Interested in shaping local policy decisions? Join the initiative and join a group of business leaders who want to make a positive influence in your area.